Established in 1928. 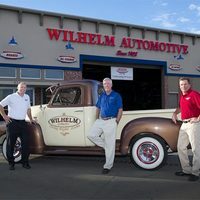 As the oldest auto repair service company in Arizona, we have been taking care of our friends and neighbors in the Valley for over 85 years. 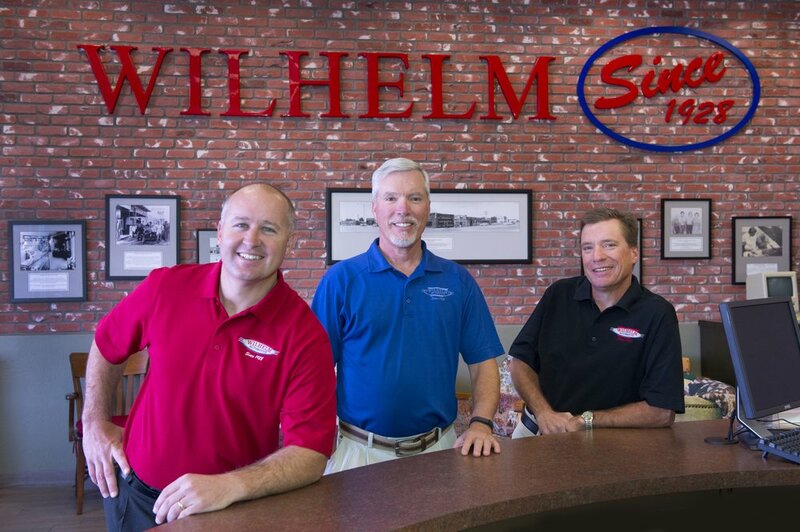 Family owned and operated, all of us at Wilhelm are dedicated to giving you top quality automotive service--service you can trust. We put the highest emphasis on the quality of our work. We have great technicians at each of our seven locations and we are confident in standing behind our work." He continued, "With the ever changing technology in the automotive world, its vital our technicians remain up to date with all the changes. Our 36 month, 36,000 mile warranty gives our customers peace of mind when it comes to all of their automotive repair needs. "Great experience, they offer complimentary shuttle service which is amazing. They went in, figured out the issue and took care of it quick for a reasonable price. Friendly, helpful staff. 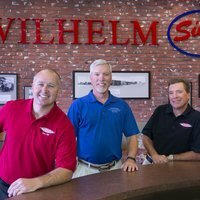 Very satisfied"
"I have used the services of Wilhelm Automotive twice now and I am very happy with the service and explanation of service provided to me. My Lexus RX 350 was first in then my wife's BMW. To give you an idea of their "over the top service", This example says it all. My wife's BMW was low on oil, she was at work and i needed to get oil added before the end of day. Some health issues prevented me from driving. 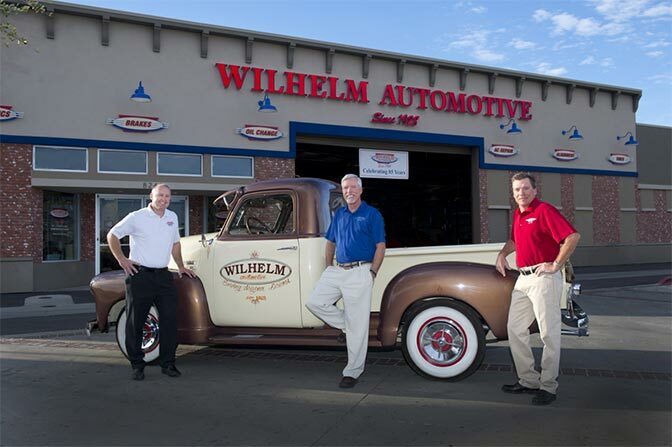 No problem, Wilhelm Automotive sent two service people to my house, added the oil in my garage and at N/C. WOW! i can highly recommend this operation to anyone"
"Had a routine oil change and tire rotation done on my Yukon. All previous oil changes and wheel rotations were being done by the dealership since it was all part of the warranty/ service package. I had all maintenance done as was recommended. NOT once was I told by the service department @ the dealership, VAN'S CHEVROLET , that the inside of the tires was bald and that I need an alignment! I have just 30,000 miles on my vehicle and the truck is a 2015. Why didn't they see the problem? I went and checked past invoices ,where they provide you with a full write up of all work done and assessment of what should be done, and an evaluation of my tires...and not once did it say ANYTHING about my tires going bald or that I needed an alignment.... However, Wilhelm discovered the problem... We loved the personal attention that was given to us and the professionalism that they showed. We will definitely be recommending them to all our family and friends...."
"I recently moved to Anthem and needed to find someone for my vehicle services. I took in my 2010 truck which they diagnosed as a transmission issue. Although the parts were expensive it cleared up issues I had with the truck shifting properly. This visit lead me to a second visit for help on my custom classic GMC pickup. They were able to identify an issue causing my engine light to go off. It was something that could be reprogrammed by my builder who put the engine in. No charge for the diagnosis. They have a great point or credits system that allows you to use them on your next visit. I applied the points to my third vehicle when it needed an oil change. I appreciated the handwritten note from the owner welcoming me to Wilhelm. These guys are a class act from the time your walk in the door. Great customer service to include courtesy rides to my house and back when the work is done." "Had a nice first time experience for an oil change. They offer a rewards program which is a nice plus. So far so good!"